If you are being notified that "A later version of iTunes is already installed. Installation of this version cannot continue." Whenever you try to install a newer or older version of iTunes on your PC, then use the following solutions to fix the error. If you are troubled by the error: “A later version of iTunes is already installed. Installation of this version cannot continue." while installing an iTunes on your PC, then you need a quick solution to fix it. iMyFone TunesFix is the complete and efficient solutions for fixing all iTunes errors. This tool can solve this issue by completely uninstalling all related software components of iTunes and Apple Application Support files. TunesFix would automatically fix “A later version of iTunes is already installed” error, and make your iTunes run better and optimally. Fix “A later version of iTunes is already installed” error without losing iTunes data and media files. Removes all iTunes components to enable you to install your preferred version of iTunes. Serves as a primary solution to all iTunes errors and issues. Helps deep clean iTunes and boost your PC performance. Step 1. 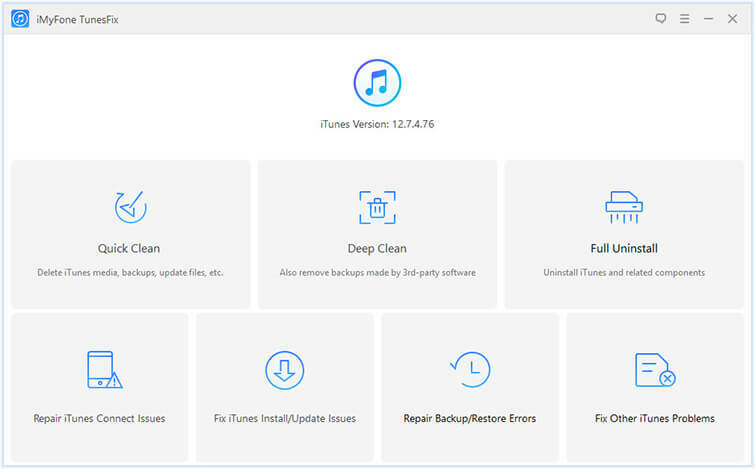 Open iMyFone TunesFix and it will detect your iTunes automatically, and if your iTunes or iTunes software components is in good condition, then you’ll be in the Home interface. Step 2. Select “Full Uninstall” mode. 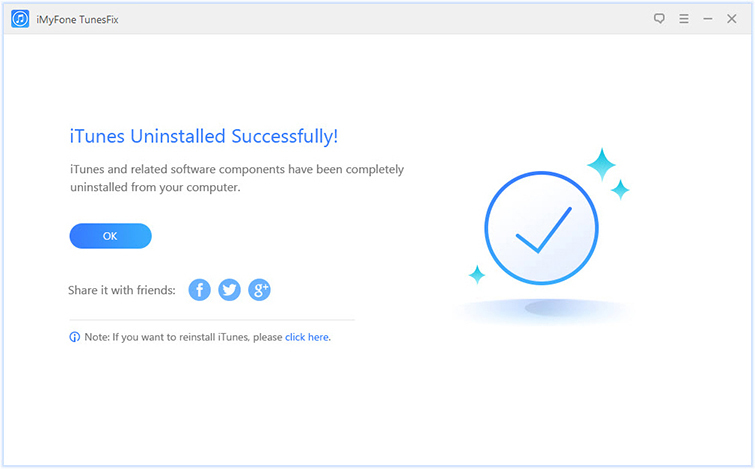 The iTunes uninstallation page will be displayed. Step 3. 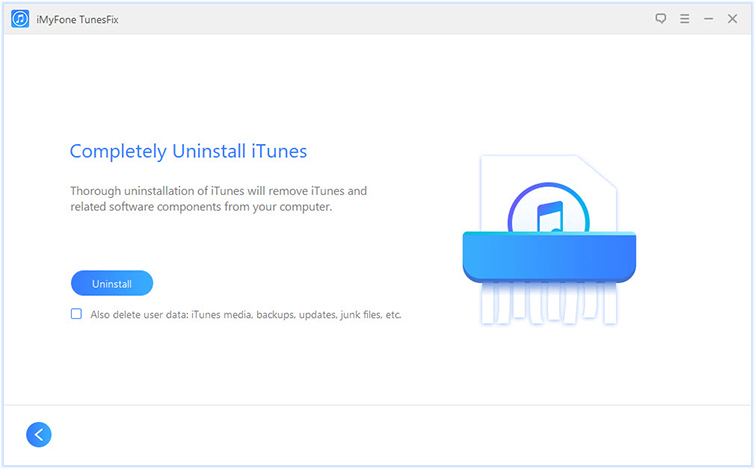 Click “Uninstall” to completely uninstall iTunes and its components from the PC. The following solutions may help you to fix this iTunes installation error. Note: the number 5 and 6 iTunes related software components above can be seen together in some systems. Please, be sure to uninstall all of them. Also, make sure that you do not uninstall these components in a different order, or uninstall some of them while leaving others behind. It’s expected that when you remove iTunes from the Control Panel, all the related software components will be uninstalled. However, in some rare cases, some supporting files may be left behind and may stop you from installing iTunes. Step 1. Press “Windows” and “R” keys together to open “run command”. Step 2. Enter “%programfiles%” into the box, and then click OK. Step 3. 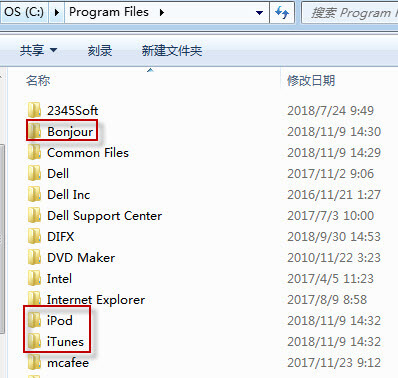 Delete the following folders “iTunes”, “Bonjour” and “iPod”. Step 4. Open the “Common Files > Apple” folders and delete the following folders “Mobile Device Support > Apple Application Support > CoreFP”. Step 5. Open “Local Disk (C:). If you’re running a 32-bit version of Windows, skip to the next step. If you’re running a 64-bit version of Windows, open “Program Files (x86)” folder and repeat steps 3, 4 & 5. Step 7. Right-click the Recycle Bin, and select “Empty Recycle Bin”. You did not completely uninstall iTunes, iTunes related software components, or iTunes supporting files from your PC. Your iTunes run into some errors or issues that makes it display the error code. In any of these scenarios, iMyFone TunesFix is the right and ultimate solution to fix this problem permanently, and start enjoying a better and more efficient iTunes.